Al Ghurair Centre (previously Al Ghurair City) opened in 1980 and was Dubai’s first large shopping mall. Situated in Deira, in the heart of the old city, it is home to over 300 stores and a good selection restaurants and fast food outlets. 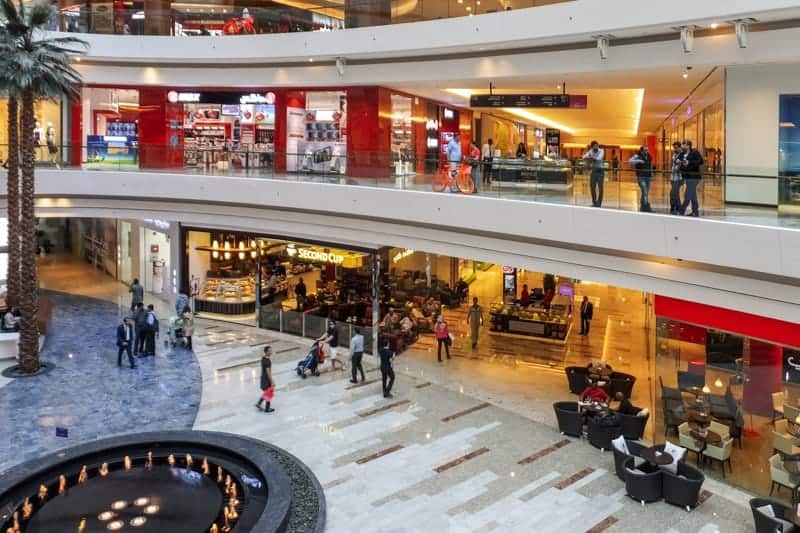 Large stores at the mall include Sun & Sand Sports, Jashanmal (department store), Marks & Spencer, Iconic (fashion), Max (fashion), Emax (electronics and IT), SportsOne (sports store), Carrefour (hypermarket), Centrepoint (department store), and Matalan. Shops at Al Ghurair Centre are listed below. 3M – Vehicle window tinting and paint protection. Al Dirham – Mobile phones, tablets, mobile phone cases and screen protectors, watches etc. Repairs (phones, laptops, watches etc.). Al Haramain – Arabic fragrances. Al Manara Pharmacy – Pharmacy. Basel Watch Company – Watches. Bentati – Fashion accessories and jewellery. Beyond the Beach – Fashionable swimwear. Borders – Books, games, consoles, CDs, DVDs, toys etc. Calzedonia – Italian beachwear, swimsuits, socks, tights, and leggings. Carolina Boix – Shoes, bags and accessories by Spanish designer Carolina Boix. City Sightseeing Dubai – Bus tours of Dubai. Dune – Footwear, handbags, and accessories. Dynamics Sports – Skate shop. Emilio Guido – Italian menswear (suits, shirts, shoes, and accessories). Exquisite – Perfumes, cosmetics, hair and beauty products. F&F – Affordable fashion for men, women, and children. G2000 – Business fashion for men and women. HiPhone Telecom – Mobile phones and mobile phone accessories. I Am – Women’s fashion accessories and jewellery. Jockey – Underwear for women and men. L’Occitane – Skincare, fragrances, haircare, bath and body products etc. Lifestyle – Home products and decor, beauty products, and fashion accessories. Part of Centrepoint. Lovisa – Jewellery and accessories. Marks & Spencer – Fashion, footwear, and accessories for men, women, and children. Mosafer – Luggage, bags, wallets, and travel accessories. Mumuso – Korean fashion and home products. myHealth Medical Centre – Healthcare services. NanoState – Scratch-resistant coatings for mobile phones and touchscreen devices. Nishat Linen – Pakistani fashion. Oud Elite – Arabian ouds and perfumes. Paris Hilton – Women’s bags and accessories. Pavers England – Shoes, bags, and fashion accessories. Pierre Cardin – Designer clothes and accessories. Plagonni – Leather accessories for men and women. Police – Sunglasses and accessories. Popley – Jewellery and watches. R&B – Affordable clothes and footwear for all the family. Redtag – Fashion and home products. Seidensticker – German label offering tailored shirts and blouses. Shoe Mart – Footwear. Part of Centrepoint. Shoe Studio – Multi-brand shoe store. Shoexpress – Value shoe store. Splash – Fashion for all the family. Part of Centrepoint. Sun & Sand Sports – Sportswear and sports equipment. Talis – Affordable fashion for men and women. The Children’s Place – Clothes and shoes for kids. The Face Shop – Korean store offering cosmetics, skin and body care products, hair products etc. Vans – Iconic American footwear. Yves Rocher – French perfumes and cosmetics. The mall boasts more than 70 food and drink outlets. The food court is situated on the second floor. Places to eat and drink here include Nawab, Hatam, KFC, and Tapa King. Restaurants elsewhere include Papa John’s, Nando’s, Pizza Hut, and Starbucks. Many of these have outdoor seating areas. Restaurants, cafes and places to eat and drink at Al Ghurair Centre are listed below. All the Perks – Cafe serving coffee, sandwiches, salads, pastries, and desserts. Indoor and outdoor seating areas. Bestoon Samad – Iraqi restaurant. Caffe Divino – Coffee, tea, salads, sandwiches, and desserts. Charleys (Second Floor Food Court) – Philly steaks, subs, and gourmet fries. Chinese Palace – Chinese restaurant. Chowking – Restaurant offering Chinese and Oriental dishes. Crazy Phil’s (Second Floor Food Court) – Sandwiches, salads, and fries. Denny's – American restaurant. Indoor and outdoor seating areas. Din Tai Fung – Asian restaurant. Gelato Divino – Ice cream kiosk. Gerard – Cafe. Menu includes salads, soup, sandwiches, pizza, and pasta. Indoor and outdoor seating. Hatam (Second Floor Food Court) – Persian. India Palace – Indian restaurant. Jollibee – Burgers, fried chicken, hotdogs etc. Kababji Grill – Lebanese restaurant. KFC (Second Floor Food Court) – Fried chicken. Krispy Kreme – Kiosk serving doughnuts. Lemon Bar (Second Floor Food Court) – Juices, smoothies, and hot beverages. London Dairy (Second Floor Food Court) – Ice cream, desserts, and shakes. Man’oushe Street – Lebanese restaurant. Indoor and outdoor seating. McDonald’s – American fast food. Nando’s – Portuguese restaurant known for its peri-peri chicken. Nawab (Second Floor Food Court) – Indian. Papa John’s – Pizza and pasta. Pappa Rotti – Coated buns and beverages. Pastarito Pizzarito (Second Floor Food Court) – Pasta and pizza. Paul – French cafe and bakery. Outdoor seating available. Pizza Hut – Pizza and pasta. Indoor and outdoor dining areas. Seattle’s Best Coffee – Coffeehouse. Starbucks – Coffeehouse. Outdoor seating available. Tapa King (Second Floor Food Court) – Filipino. TGI Fridays – American/Italian/Tex-Mex restaurant. TurkWay (Second Floor Food Court) – Turkish fast food. Umami (Second Floor Food Court) – Japanese. Wendy’s (Second Floor Food Court) – Burgers, chicken sandwiches, salads, and fries. Wok&Go (Second Floor Food Court) – Asian. The mall’s customer service desk is located on the ground floor. It offers mall directories and maps in several languages (including Arabic and English), wheelchairs, and a lost and found service. Other facilities at the mall include toilets and baby changing areas, ATMs, an Etisalat bill payment machine, and a currency exchange. Prayer rooms for men and women are also available. The mall is open 7 days a week. Opening times are Sunday to Wednesday 10 am to 10 pm, and Thursday to Saturday 10 am to midnight. Al Ghurair City is situated on Al Rigga Road in the Deira area of Dubai. Outdoor and covered parking facilities are available. The mall is within easy walking distance of the Union Metro Station. This is a transfer station on both the Red Line and the Green Line, offering quick and easy access to and from most areas of the city. Al Rigga Metro Station (Red Line) and Salah Al Din Metro Station (Green Line) are also nearby. 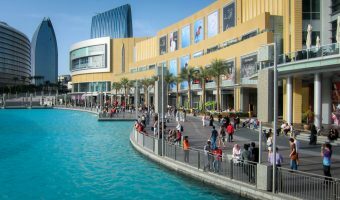 Al Ghurair Rayhaan by Rotana hotel is linked to the mall. The 5-star property offers 428 rooms and suites, several restaurants (alcohol free), a fitness centre, and swimming pool. Al Ghurair Arjaan by Rotana hotel apartments are also here and cater to both long and short-term visitors. Map showing location of Al Ghurair Centre. I always watch movies in Al Ghurair Grand Cinemas. It`s a nice place. It is very good and worth going to. I’ve been here. It’s a nice place, with good movie halls and coffee shop etc. I have visited Al Ghurair many times. It is very good and the cinemas are the best in Dubai in my opinion. It has a very nice cinema with good snacks and sound. I have visited Al Ghurair Grand Cinemas many times. It is a nice experience and the movie halls are good. 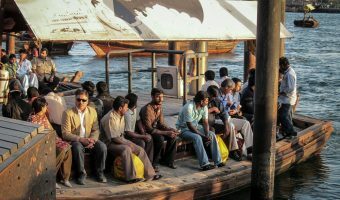 Deira is the oldest part of Dubai. It lies of the eastern side of the Creek and stretches down from its mouth to Garhoud and Dubai Festival City. 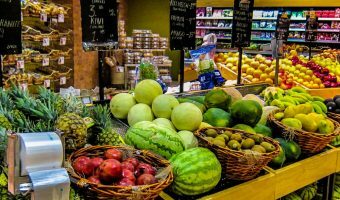 Spinneys is one of the best known supermarket groups in the Middle East. Union Metro Station is situated in Deira. 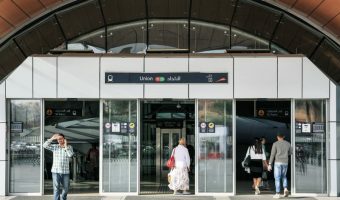 It is one of two transfer stations on the Dubai Metro and serves both the Red Line and the Green Line.